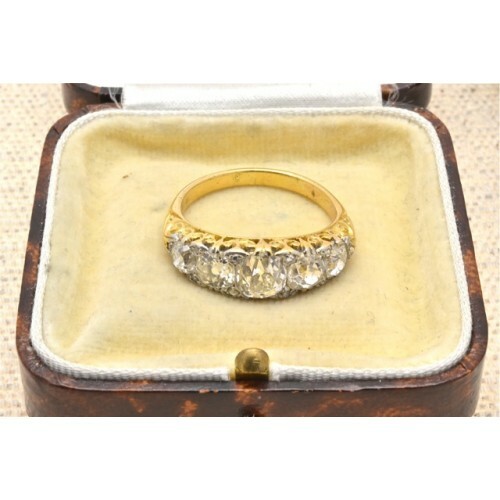 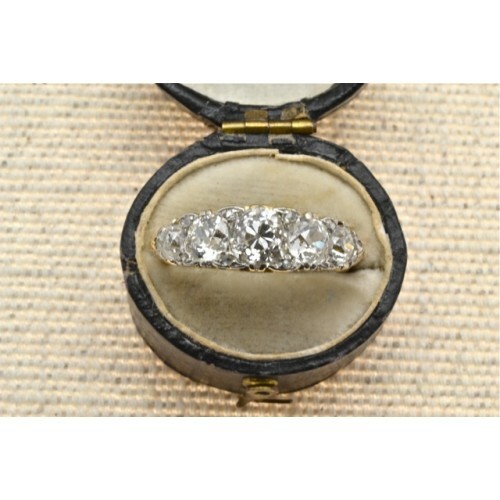 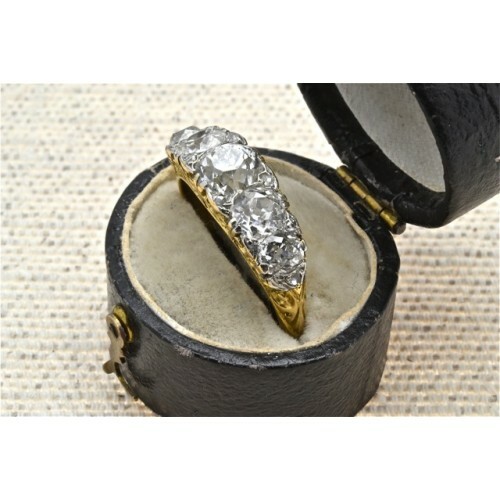 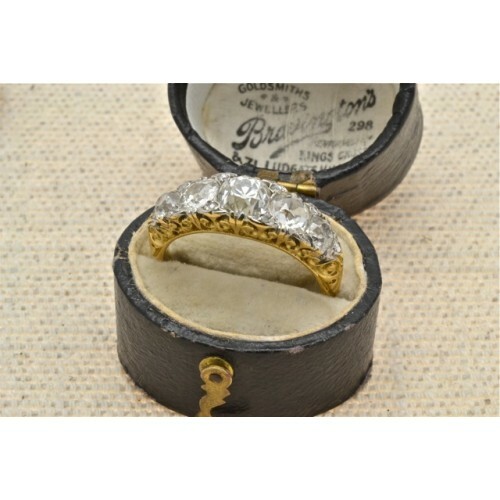 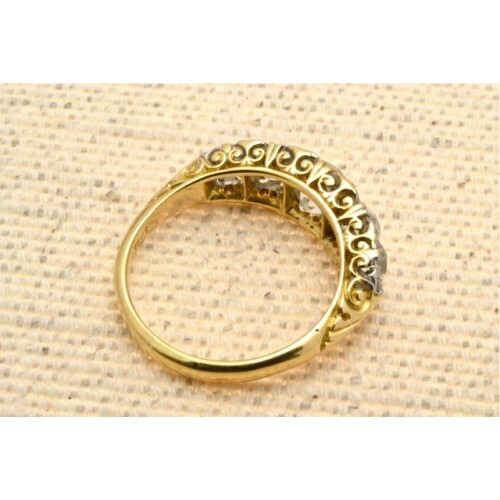 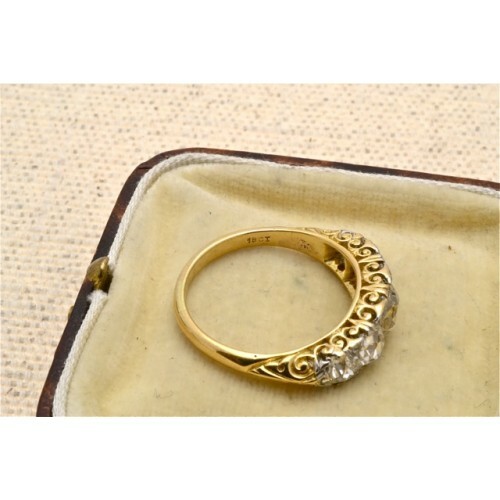 Antique carved set five stone Diamond ring. Antique five stone Diamond ring in a carved boat set mount, having five old cut diamonds weighing circa 2.66 carats, with ten diamond spacers, Colour G/H, Clarity SI. 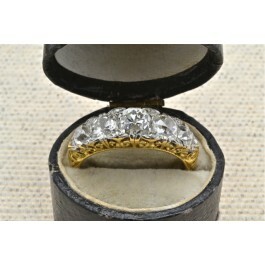 All set in 18ct yellow gold.